Please head to www.musicnt.com.au/BBB for current information. 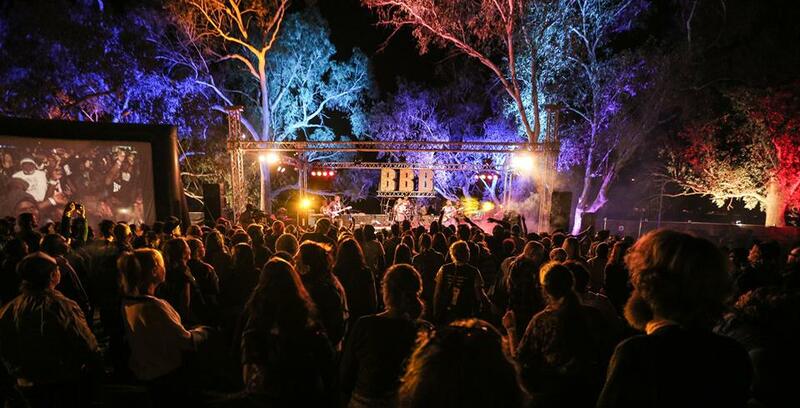 The Bush Bands Bash is the peak Central Australian Indigenous music showcase event. Presented by MusicNT, the concert features bands from the Northern Territory, Western Australia and South Australia, playing to a mixed Indigenous and non Indigenous audience of thousands. The BBB is preceded by a three day professional development and rehearsal intensive called the Bush Bands Business for all the bands participating in the Bash. The Bush Bands Business (BBBiz) sees musicians, technicians, support workers come together with local and national music industry and media representatives for three days of workshops and rehearsals, culminating in the performance at the Bush Bands Bash. Thanks to the Reference Group who work all year round to support and develop the Bush Bands Project and music in Central Australia. To find out more about the fantastic organisations who are represented on the Reference Group please go to Our Family Links.